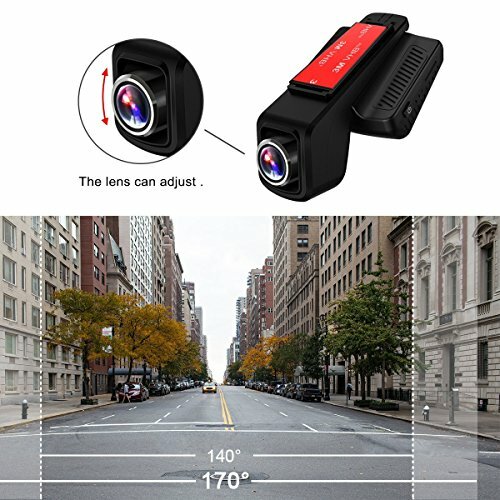 【Full HD 1080P & Sony IMX323】1920*1080P full HD video and Sony IMX323 low illumination image Sensor, which provide powerful evidence in case of dispute if you have a crash and give you peace of mind when driving. 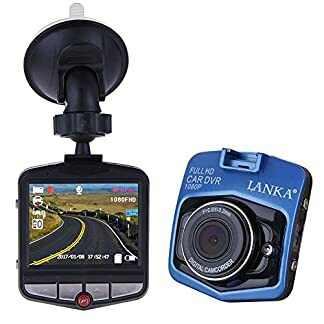 Come with 6 layer all glass and 170 degree wide angle lens and adjustable lens, this vehicle camera can capture images / video on road with a broad view. 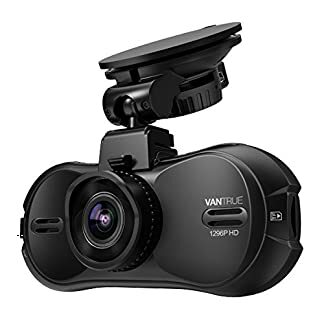 【 Unobtrusive and Compact Size】This dashcam is described as being stealth and it is neat than most of other cams, Because of good size, it fits neatly to rear view mirror, which doesn’t obstruct your view when driving. 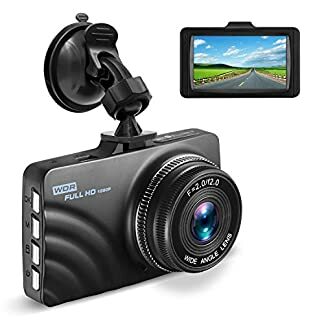 The dash camera has screen saver functionality as well, it doesn’t distracts the driver’s attention in any way while on the road. 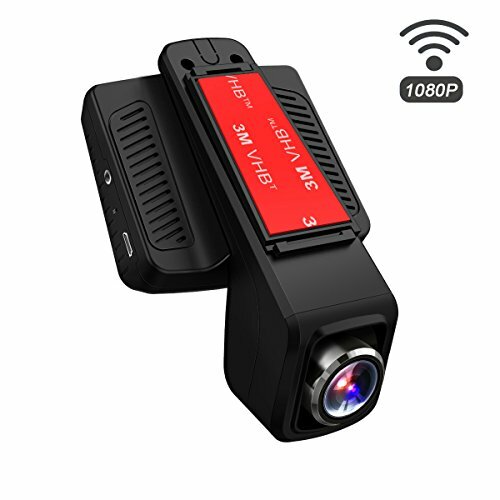 【Built-in WIFI Function】The wireless functionality is a point to this camera as the footage can be seen live on iOS or Android smartphone. 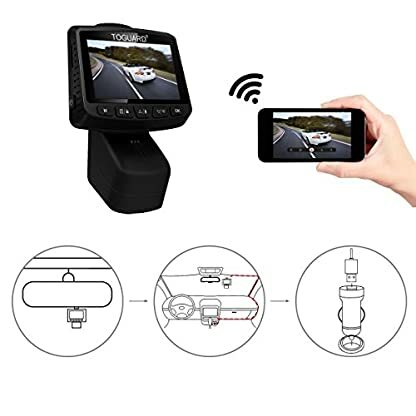 You can remote control the dash camera easily on your smartphone. 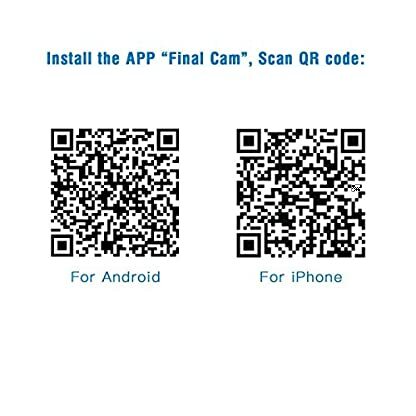 change settings, Real-time viewing, photo taking, video recording, playback, download the record files to your smartphone to edit it and share it to Facebook,Twitter or other social network. 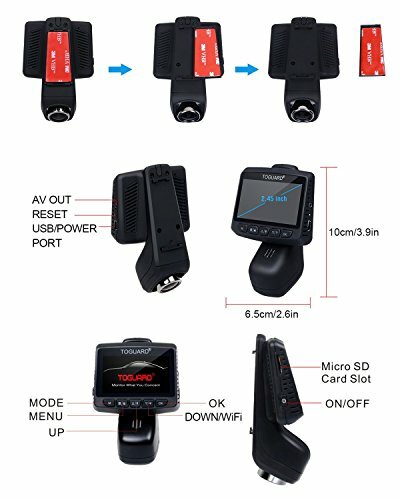 【Essential Functions】G-sensor Lock, motion detection, parking monitor, loop recording, timestamp, WDR, WiFi access. With these functions, dashcam The settings allow you to select video clip recording lengths, and when the SD card is full, old clips will be overwritten. 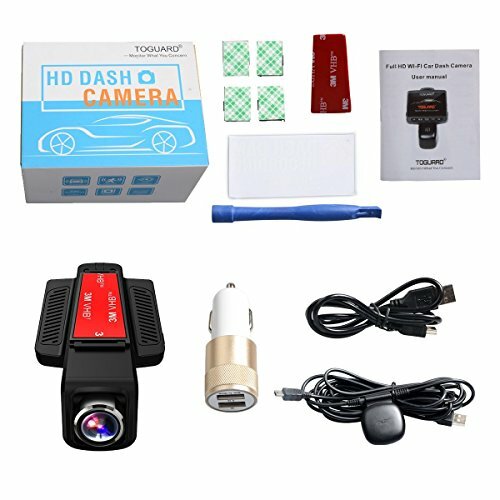 The dash camera starts and stop with the car, It also has crash detection and will protect any recordings taken in any sort of major impact. 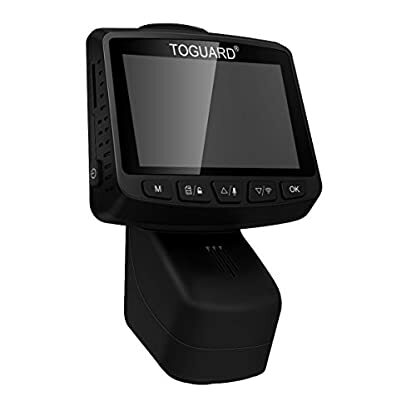 【Safe Guarantee with TOGUARD】Package including extra 3M sticky pad, mini USB cable, car charger (power usb cable and dual USB cigarette port adapter), a few cable clips. 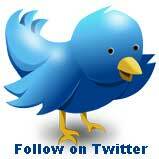 12-month warranty and professional after-sale service within 24 hours.